Tropical Traditions, America's Favorite Source for Coconut Oil, provided me with a quart of their Gold Label Virgin Coconut Oil. We have been using it for cooking everything: pop-corn, brownies, peach cobbler, apple crisp, oatmeal cake, and even grilled cheese sandwiches. This version has a light coconut scent and taste; they also offer a version that is unscented. In chocolate recipes such as brownies, cookies, and cakes, it changes from plain chocolate to almost a candy bar flavor when I use this oil with the coconut flavor in place of butter. Combine dry ingredients. Beat coconut oil, butter, and sugars until creamy. Add eggs one at a time, beating well after each one and mix in extracts. Slowly add in flour mixture. Mix in white chocolate chips. Drop by rounded tablespoon onto stoneware pizza pans. Disclaimer: Tropical Traditions provided me with the product mentioned above for the purpose of this review. All opinions are my own. If you order by clicking on any of my links and have never ordered from Tropical Traditions in the past, you will receive a free book on Virgin Coconut Oil, and I will receive a discount coupon for referring you. 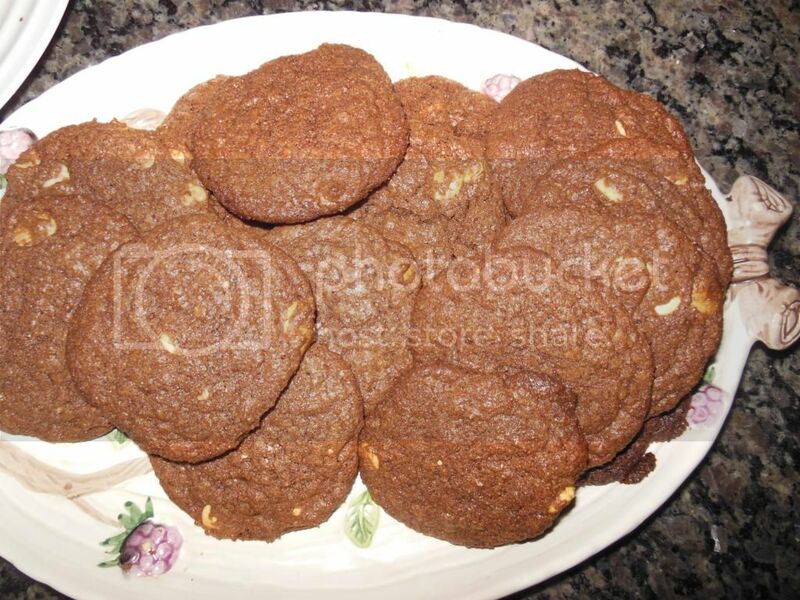 These cookies look SOO good. Does the cardamom change the flavor of the chocolate at all? I have not seen a recipe like this with cardamom. Cardamom was a new spice to us about a year ago, and now we add it to a lot of recipes both sweet and savory. You can taste it, but the chocolate is still delicious, too. It just adds another layer of flavor, as does the coconut oil. The cardamom is optional; that is just how we made them. Thanks for sharing! I don't think I would have thought to use it as we mostly use it in savory dishes. Those look so delicious. I am interested to see how subbing coconut oil for butter in my baking will transform different baked goods as I am definitely a butter lover! Will have to give it a try. Thanks for sharing! Those chocolate chip cookies look great. What a great idea to use white chocolate chips. This recipe sounds delicious. I like the addition of the cardamon and almond extract. What great recipes! I had granola made with coconout oil that was amazing a while ago, but these cookies are on my list to make!